One way to make wooden doors is by using the batten design technique, where one row of parallel boards is put together by diagonal and perpendicular battens, generally on barn doors. 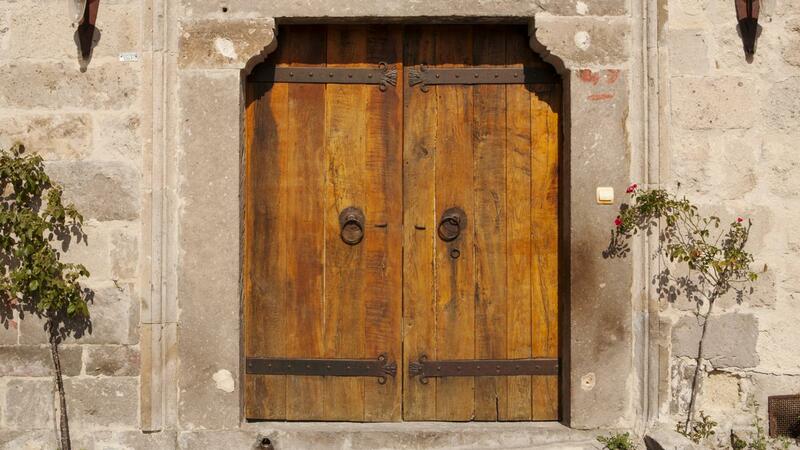 A layered door is another method of making wooden doors, states Mother Earth News. A layered door has three thick planks of wood, and is harder and stronger that the batten door, but heavier. The joined door is another way to build a wooden door. It is ideal for openings in concrete and stone. The battens, layered and joined techniques are all within the skill level of a novice and can be as good as any other door, says Mother Earth News.